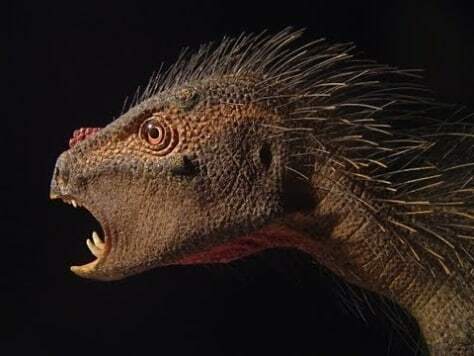 Muscles, skin, scales and quills have been added to a skull cast of a heterodontosaur to produce a terrifying Dracula look. Heterodontosaurs such as Pegomastax africanus were plant-eaters. The fangs are thought to have been used for defense, foraging or nipping at rivals.